It was November 2003, the weekend of the Santa Clause parade. Along with my friends Gina and Rishma, I had a private class with Yogi Akal, master of numerology and yoga. We did some spinal warm-ups together before Yogi Akal moved to individual numerology readings. I didn’t know much about numerology at the time, but I’d felt compelled to meet this master. It would turn out to be life-changing. Yogi Akal said to me “You are a teacher.” I looked at him and I said, “No, I’m not a teacher, I am actually in marketing but I’ve been considering doing yoga teacher training for fun.” He looked at me decisively and repeated, “I am telling you, you are a teacher.” I wasn’t convinced so I kept on questioning. With the same intensity he persisted, “You are in a yoga school, talking to a Yogi and you are asking me if you should do yoga teacher training?” I knew, in a place far deeper than my mind, that he was right. I spent seven days crying after I put my tuition on my credit card and went into debt, for the first time in my life, to become a yoga teacher. My mind was reeling with the commitment I had made without doing any research or any rational decision- making. Me who generally didn’t make any decisions without knowing all my options had committed to over 500 hours of training! It wasn’t an easy process but I know now what it means to let life work through you. I was born a teacher and when the time was right my teacher appeared to guide me through my process. I feel honoured and blessed to be doing what I’m doing. 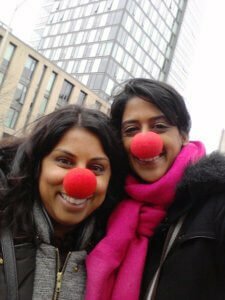 And I am so grateful to my friend Rishma Govani whose synchronicity brought me to the right place at the right time, ten years ago – Thank you Rishma! 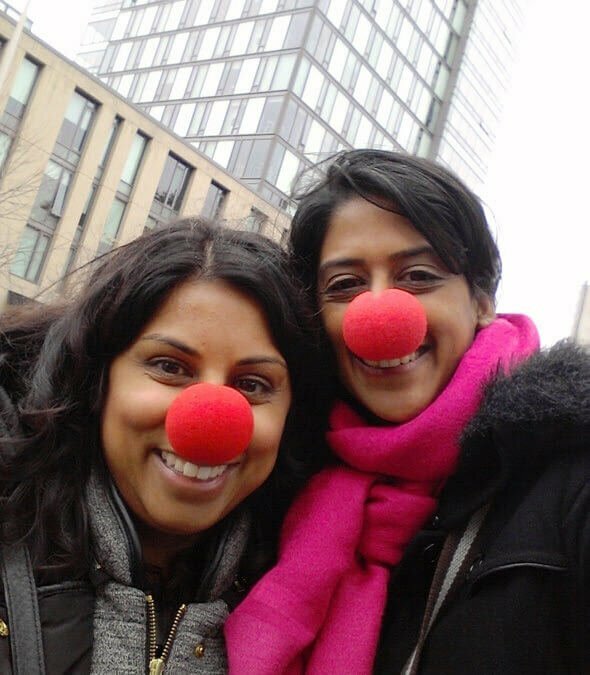 We went to the Santa Claus Parade to mark our 10 year anniversary – that’s us with the red noses! 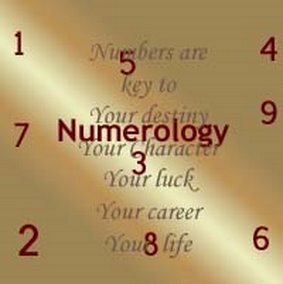 I’ve been asking myself – Should I offer numerology readings? I love doing my own numbers. Every year I sit down and calculate my numerology because I want to know – Will it be a year of learning? A year of love? A good time to make a baby? It helps me prepare for what will flow easily and what will require work. And considering it was a numerology reading that spiraled me forth on my Yoga Goddess path, I know how powerful working with the numbers is. Which is why I started questioning: Should I offer numerology readings for the New Year? To help me decide, I reached out to my friend and past client Samantha. When you purchase Moon Goddess or book a Womb Blessing, you’ll receive a 20 minute numerology reading as my Winter Solstice gift to you. But hurry! This offer expires when the clock strikes midnight on Friday, December 23rd, 2016.